Garrett Ford and Christoph Schork explaining the new Easyboot Fury to visitors at the AERC booth. 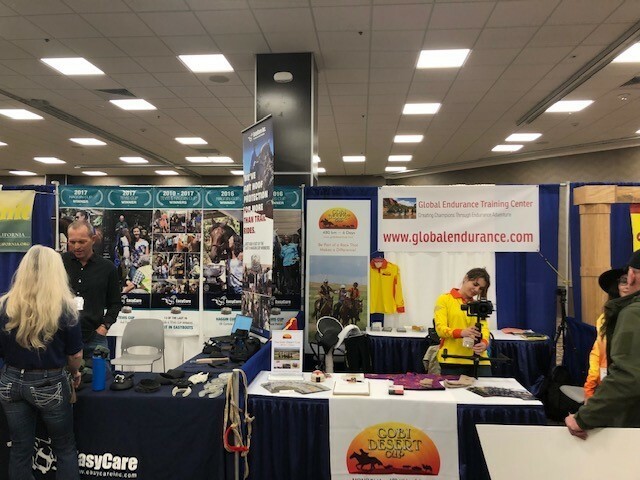 At this year’s annual American Endurance Ride Convention held March 7-9, EasyCare’s booth showcased proven hoof protection products as well as other new products coming in 2019. EasyCare is a Platinum Level Sponsor for the AERC, the sanctioning organization for endurance events within the USA. EasyCare’s and Global Endurance Center’s booths were located side by side so we could support each other. 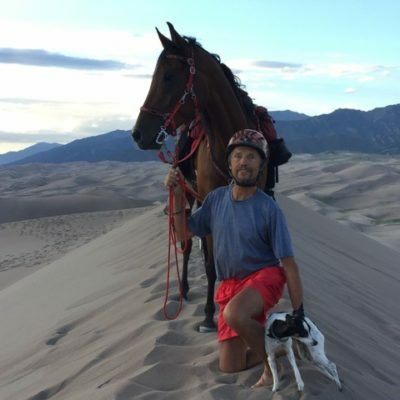 This year’s trade show was attended by more visitors compared to previous years which bodes well for the future of our endurance sport and for other equestrian sports, which have seen a decline during the last decade. 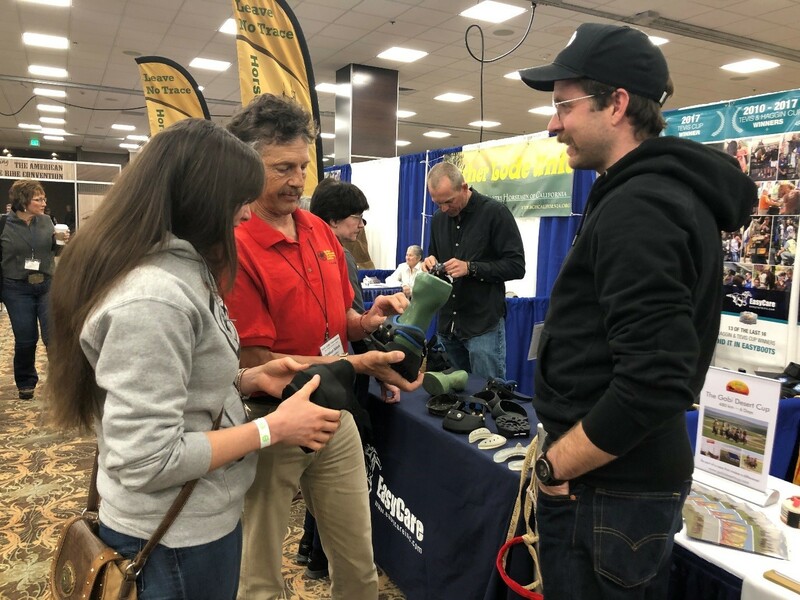 At our booth we displayed many of our proven products such as the TheraPad, which is very helpful for abscess and laminitis relief, but most visitors stopped to learn more about the new Fury lineup. 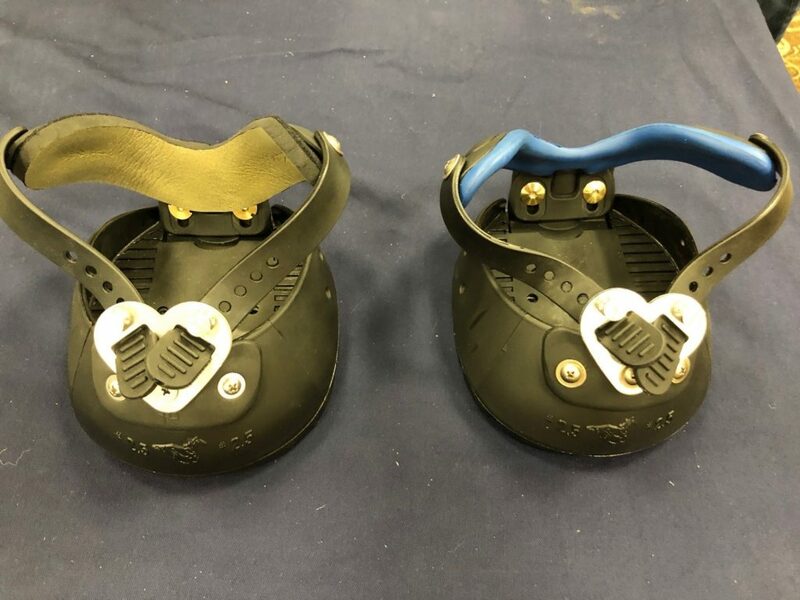 The Fury Heart with the EVA brackets (blue, right) or optional neoprene replaceable foam (on the left). The Fury Sling sports a different fastening system on the fetlock, if so desired. 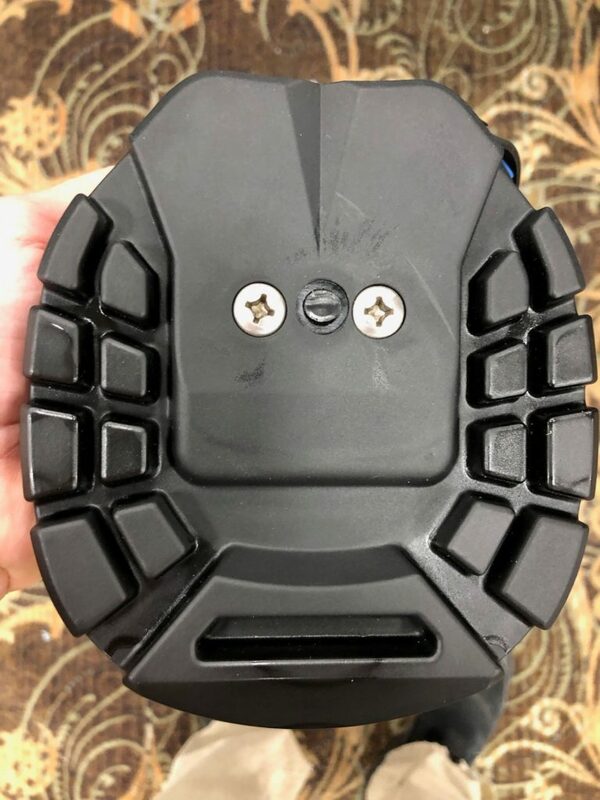 When exploring the Fury, you will immediately notice the improved sole profile providing advanced traction as well as the extended heel section for additional support. The Phillips screw heads in the sole allow you to change the length of the sole portion of the Fury. This is exciting news! 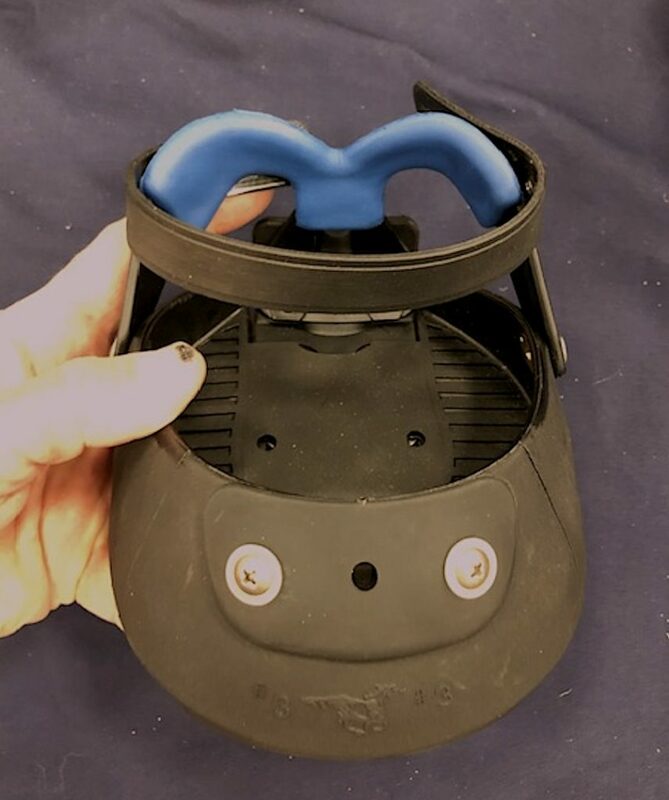 With the Fury you can select how much heel support and extension you want to have, and individually adjust it for the needs of each horse. 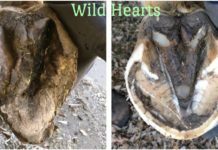 For example, you can adjust the boot to have more heel support depending on whether the hooves are angled lower or more upright, or the pastern is longer or shorter. 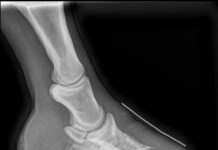 Once the Fury boot is adjusted for a particular hoof, the heel extension of the boot can be easily tailored to the needs of the horse. Shorten or bevel it using a rasp or a grinder. The Fury is scheduled to be available for purchase in May 2019. Most attendees left this convention with optimism for the future. 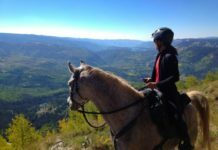 EasyCare continues to contribute to this positive outlook with the introduction of new and better products for horses and riders.